“My relationship with photography has compelled me to look microscopically at the process itself. I am enamored with the space between the lens and the film plane. For me, the photograph no longer serves as a document or illustration, but as the artifact and evidence of an intimate performance. Dan Baird-Miller was born and raised in Brewster, NY. He has been exhibiting his photographs since 2007. He received his BFA in photography from the Hartford Art School and his MFA in photography from the Art Institute of Boston at Lesley University. His fascination with the process of making a photograph lead him to use large format cameras as well as rudimentary hand build cameras. He never transitioned to digital; instead he became enamored with chance and experimentation. Using long exposures, and expired film created chance and abnormalities to his photographs that digital could not. Dan had his first solo show, Nocturnal View at Photosynthesis in 2009. 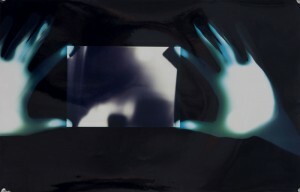 He has recently been included in the 3rd edition of The Book of Alternative Photographic Processes by Christopher James. Dan currently lives in Busan, South Korea where he is pursing a number of personal photographic projects.